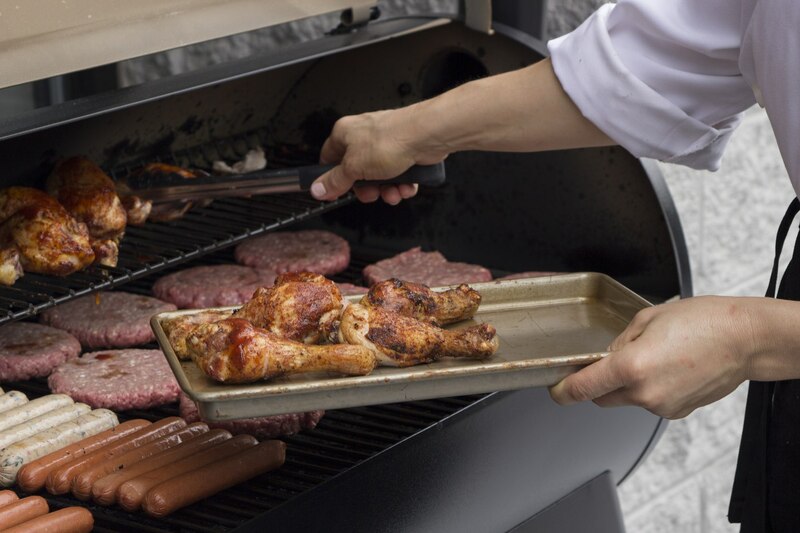 So, should you buy a wood pellet grill or a gas grill? Wood pellet grills are about imparting flavor and gives you the ability to cook large volumes of food without flare-ups. Gas grills are about speed, searing, and charring meats. In this article, we will be comparing the two most well-known brands of each, Weber and Traeger. First let's look at the companies. Weber was established in Chicago, Illinois in 1952 by George Steven Sr. What originally began as a metal buoy company, Weber quickly merged into manufacturing grills based on Steven's need to produce a better grill. He invented the dome-shaped top grill with a lid to trap in flavor and help with wind resistance. 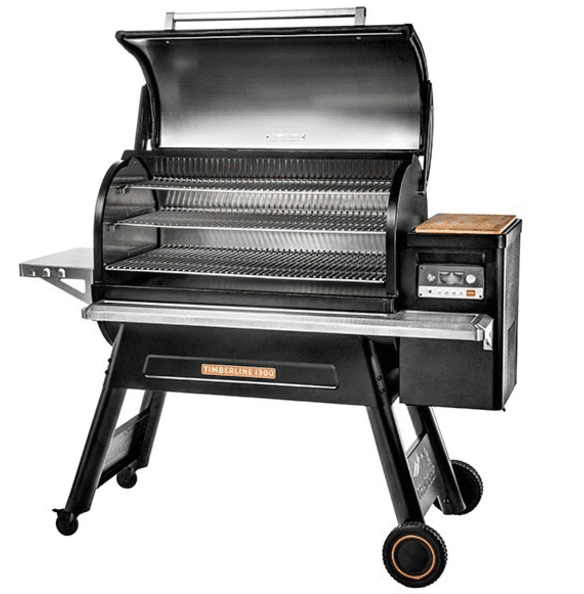 Weber has many different types of grills: charcoal, electric, natural gas, and liquid propane ranging from a few hundred dollars to a few thousand dollars. They basically have a grill for everyone. 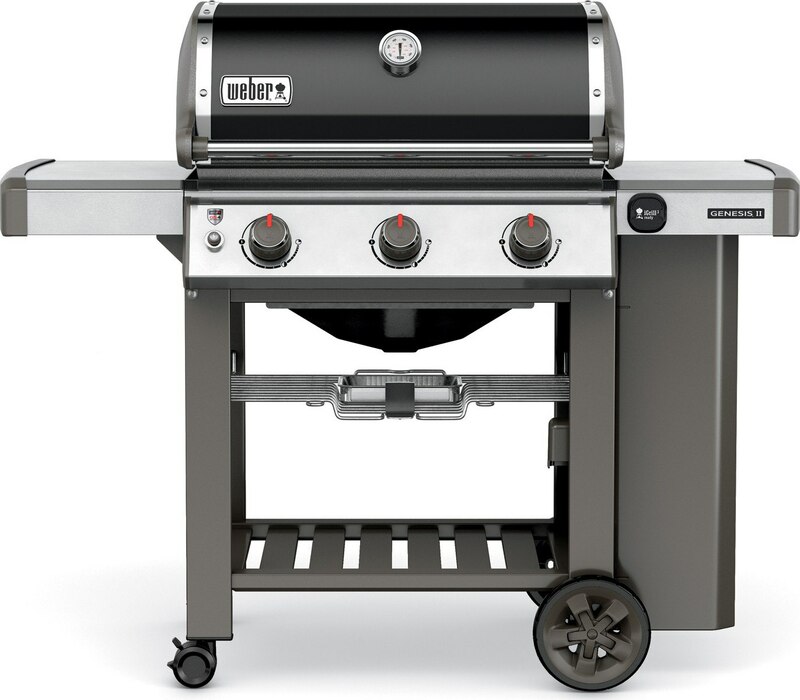 Weber's most popular grills are either manufactured in the U.S. or China. In 1982, Joe Traeger began experimenting with pellet burning furnaces. He grew frustrated with all the outdoor grills on the market and wanted to come up with an alternative. In 1985, Joe made the first wood pellet grill using a traditional body like a smoker with a chimney stack and a side hopper for the pellets. The result was an energy efficient, clean burning grill. Traeger has many different grills, however, they only use one medium- wood pellets. The wood pellets are offered in a variety of flavors to compliment your food of choice. Let's quickly go over how wood pellet grills work. First, you place wood pellets in the hopper box. The auger, a screw-like device, forces the pellets into the burn pot to be ignited. The heat is forced upward into the cavity of the grill creating a circulating heat, similar to a convection oven, to surround the food. Excess heat and smoke is then exhausted through the chimney. Now that we have a little background about the companies, let's look at some of the grills they have to offer. The revamped Spirit II has the GS4 Burners for better coverage and performance and the same cast iron grates that you will find on the Genesis models. One of the side shelves will fold down for more adjustability, making it great for limited grilling areas. It is compatible with Weber’s IGrill System which would allow you to use an intuitive temperature probe to monitor the internal temperature of your food. The Spirit is available in some beautiful colors including Red, Saphire, Black and Ivory. 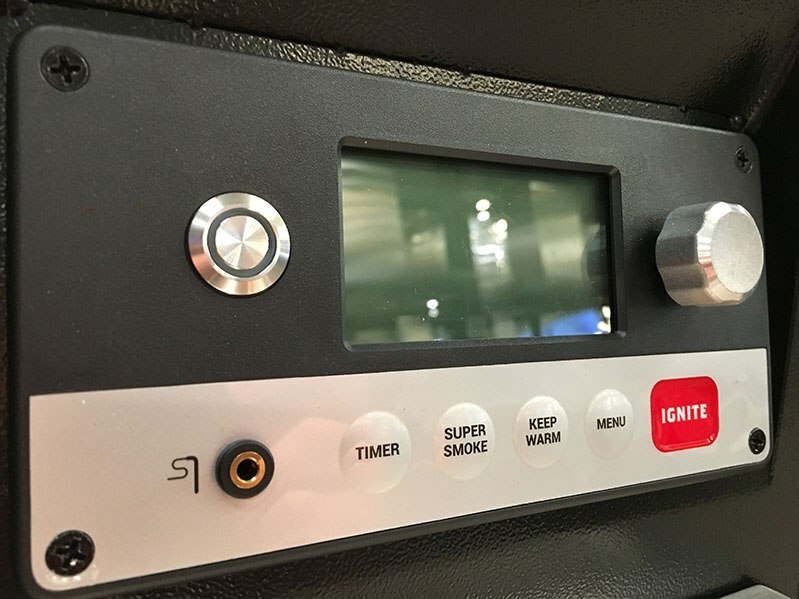 The quick-fire ignition system and the Flavorizer Bars are new features for Weber grills. 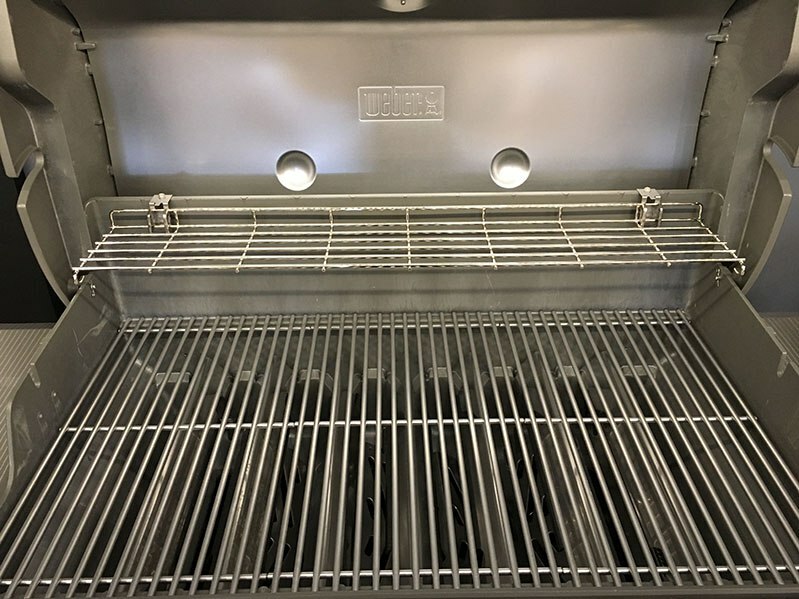 The cart with storage and stainless-steel burners are great components on any grill. 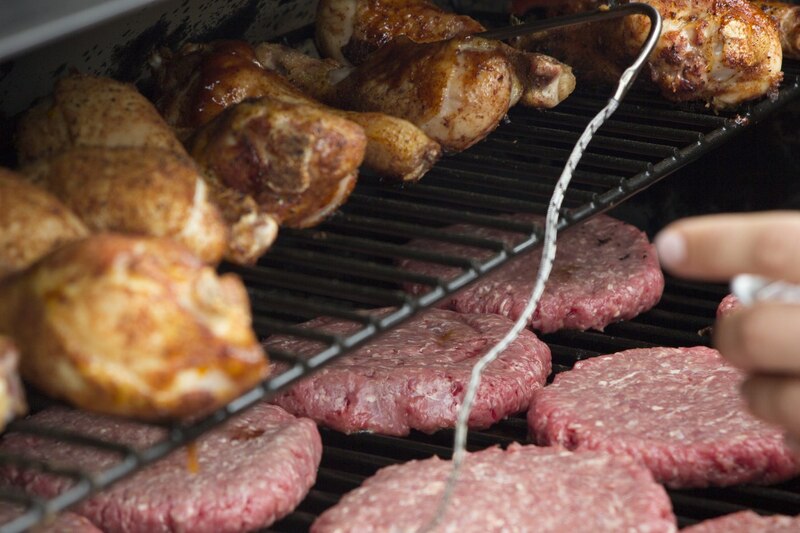 Also, the ability to remotely monitor your food's temperature via Wi-Fi allows you to not be tethered to your grill. Primary cooking area = 770 sq. in. Tuck-Away™ warming rack (Elevations® compatible) area = 228 sq. in. Total cooking area = 998 sq. in. The stainless steel burners, grates, and Flavorizer Bars are designed to withstand the elements and hold heat. The sealed cart keeps away the critters and holds up in harsh weather. Additionally, having lights on the handle make it a breeze to cook in low light or at night. The side burner provides an additional unit for warming sauces or for that last minute sautée. Lastly, the grill's multiple probes are Wi-Fi compatible. 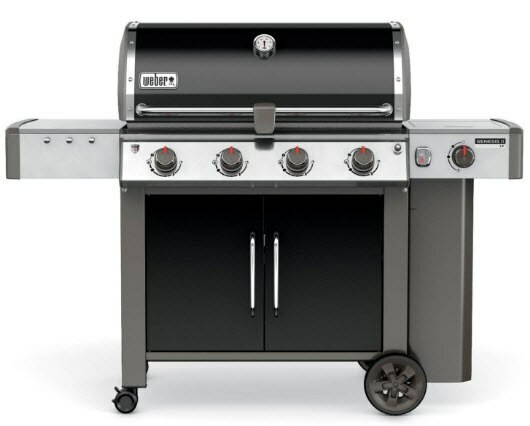 These grills are the only grills that have a control that you can actually program to a certain temperature. Also, it produces indirect heat. What this means is that you will have no flare-ups! The convection fan provides heat circulation for a very even cooking experience. The Timberline is a workhorse of a grill. It's multi-leveled for cooking an abundance of food at once. The controls are in the front, so they are easily accessible. The stainless-steel side shelf provides extra room for prepping food before going on the grill. 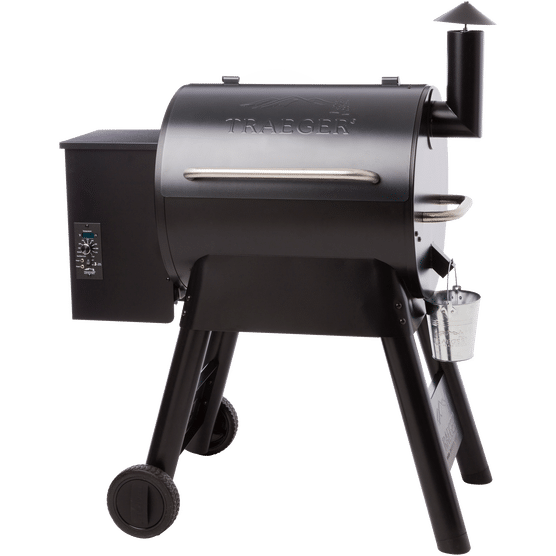 It's twice the capacity of the Traeger Pro Series! The concealed drip bucket is located underneath. 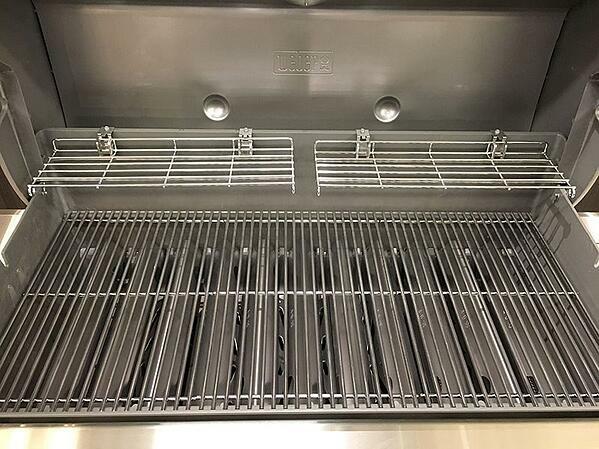 The downdraft venting system will keep smoke and heat in the grilling area longer, which means tastier food. These are truly two different grills and they have their merits. Weber is mostly known for their gas grills. 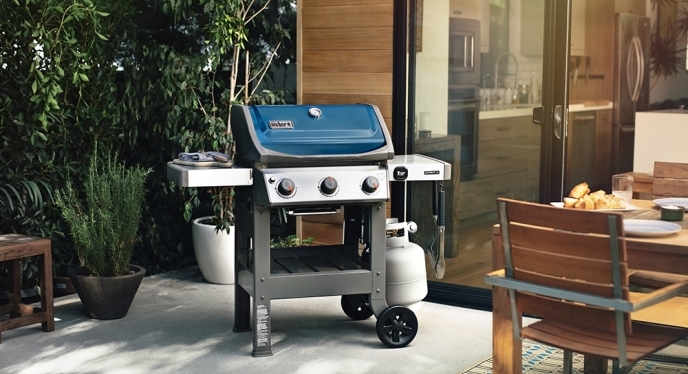 Gas grills sometimes limit you in terms of cooking time and if the user intends to grill on a second-floor deck or patio, this is a factor if you live in Boston. 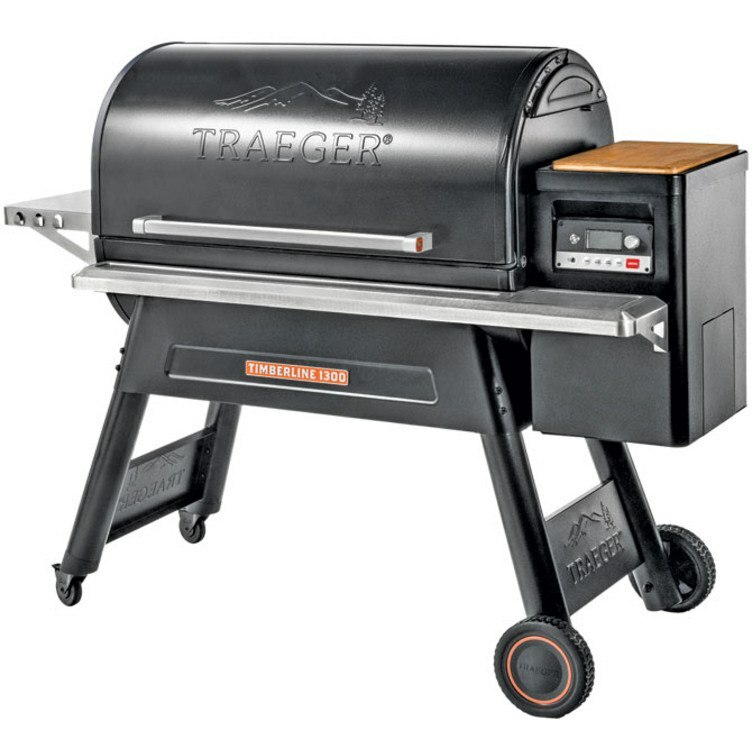 Traeger grills are electric powered, so you can use it on upper floor decks in urban settings. Although Weber has a new burner system with better coverage, the convection fan in the Traeger grill and the distribution of the wood pellets may offer a better heat distribution, so your food is cooked evenly. In essence, you bring the heat to what you are cooking. You don’t have to move what you are cooking like you would a Weber. It is easier to cook more items evenly on a Traeger than any other gas grill without constantly turning the food. Traeger is geared more towards slow cooking and smoking with the indirect heat. 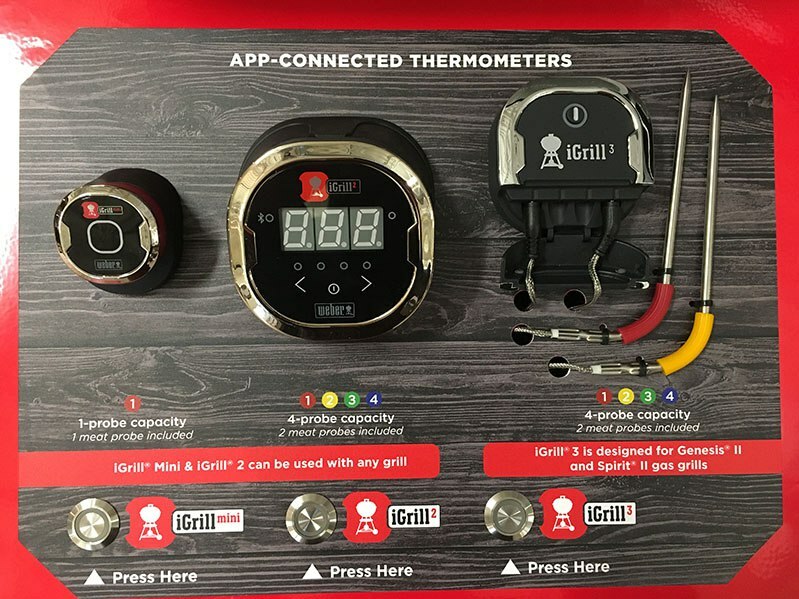 It has a dial that allows you to set the temperature and take the guesswork out of your BBQ like a stove. Adding flavors like Mesquite and hickory to your cooking could elevate your BBQ experience to a new level. However, it is electric, so the maximum temperature on a Traeger is only 450 degrees versus 600-900 for a Weber. Thus, you do not have the sear and char capability on a Traeger grill like you would on a Weber grill. For Bostonians, you can place a Traeger grill on your rooftop while for a gas grill, you have to pipe in natural gas. So, which do you buy? Both are good but for different cooking styles. If you are an occasional griller or prefer to cook quickly, the Weber is the way to go. You have the high heat for a good sear and a fast preheat time. However, if you want to do more than just grill, like to slow cook or wanting to smoke or infuse flavor into your food, then consider a Traeger. Keep in mind, you should see a demo before buying either of them. You can request a demo on Traeger any Wednesday through Sunday. We would be happy to show you how both work and will cook you a few items as well. Want to learn more about grill? Download our free BBQ Buying Guide for detailed information on all the best brands, features, and more. Over 295,000 people have read a Yale Guide.